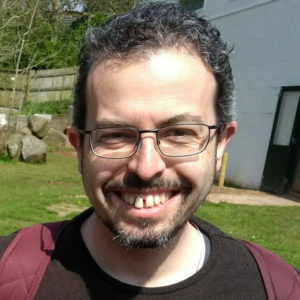 Jacopo Bertolotti is a Lecturer in Physics in the Electromagnetic and Acoustic Materials group in the Department of Physics & Astronomy at the University of Exeter. He received his PhD in February 2008 from the University of Florence on the topic of light transport in random media, and then worked in the Complex Photonics group (University of Twente, NL) and at the Institut Langevin (Paris). Now he is establishing a research group at the University of Exeter, where he co-leads the “Natural Photonics and Disordered Systems” research theme. His results include the study of anomalous transport of light and superdiffusion in heterogeneous media from both the experimental and the theoretical side. The realization of a novel class of materials where superdiffusion could be controlled, and the development of a theoretical framework to describe this transport regime were instrumental to the study of the interplay between superdiffusion and wave interference. More recently the focus of his research shifted toward the problem of imaging in scattering and opaque media. In this context he developed a novel method for non-invasive imaging through an opaque screen.